$3,995,000 Exceptional Detached Home In Prime Annex Location! 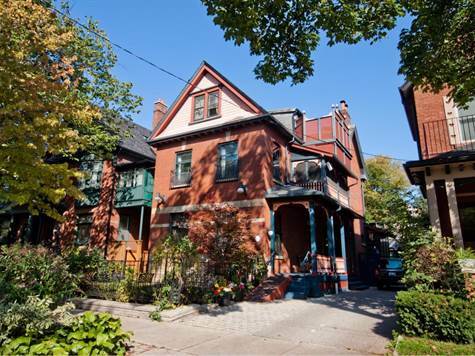 Grand Restored And Updated 2 1/2 Storey Detached Annex Residence On A Private 41 X 127 Foot Lot! Spectacular Stained Glass With Character Inside And Outside! Large, Bright Professionally Finished Lower Level With 9' Ceilings And Walk-Out! Currently Tenanted And Divided Into 3 Units + Renovated Coach House (Separate Dwelling)! Can Easily Be Converted To Single Family! Excellent Opportunity In One Of Best Locations On Madison Ave!